In case you missed it, we recently held a St. Patrick’s Day contest where you had to guess how many pieces of candy were in the jar. 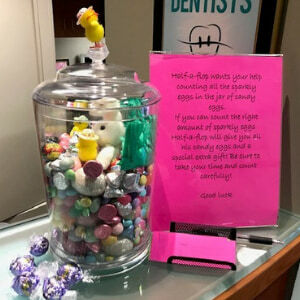 The jar of candy (yeah, we know…) and two passes to a local movie theatre in Bellevue! And my goodness, some of you were SOOOO CLOSE. 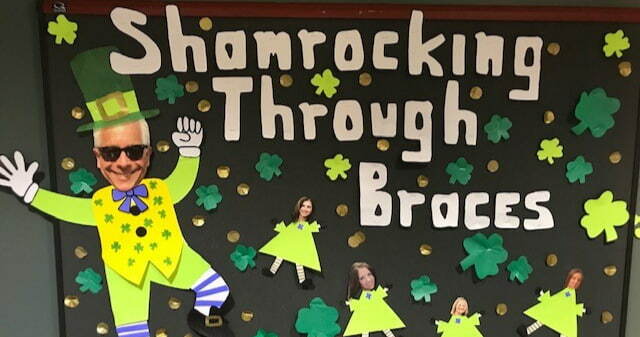 Congratulations Curtis for winning the Schur Orthodontics St. Patrick’s Day Contest! His guess was within one of the 124 total pieces of candy in our contest jar! Do you remember your guess? How far off were you? Let us know in the comments! 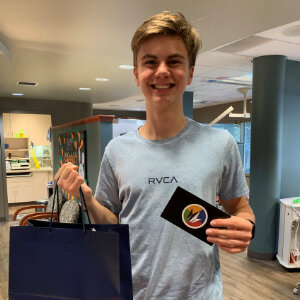 What’s the next contest at Schur Orthodontics? You have to guess how many candy eggs are in the jar! What’s the prize this time? The jar of candy eggs! AND… An Amazon gift card! Make sure you enter your guess at your next appointment. The first St. Patrick’s Day celebration in America was held in Boston in 1737. The original color for St. Patrick’s Day was blue. Your odds of finding a four leaf clover are about 1 in 10,000. Want to learn more fun fact? Click here! Interested in learning a brief history of St. Patrick’s Day? Click here! Where can you find your pot of gold? If your pot of gold is a beautiful, straight smile… then it’s at Schur Orthodontics! Are you or someone you know looking for an orthodontist in Bellevue? If so, let’s schedule a consultation today!